One more passing to round out 2011 – Helen Frankenthaler. It looks like European artist Mr. Brainwash has gotten his hands on Estevan Oriol’s ‘L.A. 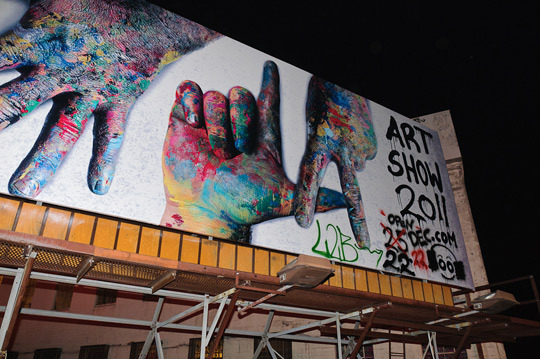 Hands’ with this billboard promoting an art exhibition. And this post, for the most part. It really shows when one’s uninspired, huh?